Understanding carbon footprint (CF) and the underlying science is important to minimizing the negative impacts of new product development and assessing positive or negative cradle-to-grave life-cycle impacts. Life cycle assessment was used to characterize representative production models of field-grown and container-grown landscape plants. The dominant contributor to CF and variable costs of field-grown trees is equipment use, the majority of which is at harvest. Plastics, energy use for irrigation, and fertilization are the major contributor to CF of container-grown plants. Greenhouse heating can also be impactful on the CF of plants depending on the location of the greenhouse and the length and season(s) of production. Knowing the input products and activities that contribute most toward CF and costs allows nursery and greenhouse managers to consider protocol modifications that are most impactful on profit potential and environmental impact. 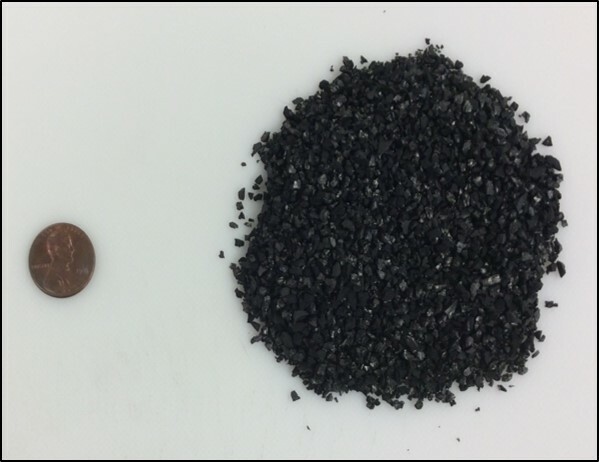 The objective was to evaluate removal efficacy of agrichemicals from water using a small-scale granular activated carbon (GAC) system. Chemicals reduced below their minimum detection limits after 64 seconds of GAC filtration included acephate, flurprimidol, paclobutrazol, uniconazole, peracetic acid, DDAC, and chlorine. Percent reduction for other chemicals with 64 s GAC was 72.2% for bifenthrin, 89% chlorphyrifos, 85.3% imidacloprid, 99% glyphosate, 99.4% triclopyr, 99.3% hydrogen peroxide, 47.6% iron-EDDHA, and 94.6% soracid blue dye. GAC filtration can remove many agrichemical contaminants used in greenhouse and nursery production, although greater contact time would be needed in commercial production than in this study. In order for Extension professionals to effectively help growers use water conservation technologies, it is important to understand the knowledge level and adoption rates growers have surrounding different water conservation techniques. It is also important to understand how grower perceptions of water conservation strategies relate to their adoption. In this publication, we present results of a study designed to understand the knowledge level, adoption rate, and levels of continuance associated with eight water conservation technologies among nursery and greenhouse growers. We also examined whether five characteristics of these technologies (trialability, complexity, compatibility, relative advantage, and observability) predicted grower adoption. A national team of scientists is working to encourage use of alternative water resources by the nation’s billion-dollar nursery and floriculture industry has been awarded funds for the first year of an $8.7 million, five year US Department of Agriculture – National Institute of Food and Agriculture –Specialty Crop Research Initiative competitive grant. The team will develop and apply systems-based solutions to assist grower decision making by providing science-based information to increase use of recycled water. This award from the NIFA’s Specialty Crop Research Initiative is managed by Project Director Sarah White of Clemson University. She leads a group of 21 scientists from nine U.S. institutions. Entitled “Clean WateR3 - Reduce, Remediate, Recycle – Enhancing Alternative Water Resources Availability and Use to Increase Profitability in Specialty Crops”, the Clean WateR3 team will assist the grower decision-making process by providing science-based information on nutrient, pathogen, and pesticide fate in recycled water both before and after treatment, average cost and return-on investment of technologies examined, and model-derived, site specific recommendations for water management. 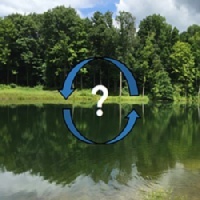 The trans-disciplinary Clean WateR3 team will develop these systems-based solutions by integrating sociological, economic, modeling, and biological data into a user-friendly decision-support system intended to inform and direct our stakeholders’ water management decision-making process. The Clean WateR3 grant team is working with a stakeholder group of greenhouse and nursery growers throughout the United States. For example, at the University of Florida graduate student George Grant is collecting data on removal of paclobutrazol, a highly persistent plant growth regulator chemical, from recirculated water using granular activated carbon (GAC) filters. This is being done in both research greenhouses and in a commercial site. The GAC filters can remove more than 90% of chemical residues, and are proving to be a cost-effective treatment method.